The Main Lodge will sleep up to 25 guests between the six bedrooms, and with the use of the two game room futons, the lodge can sleep a total of 29 guests. The Lodge is perfect for group ranch vacations, a vacation home rental, or bed and breakfast stays. Guests renting the Ranch for a wedding have the option to use the lodge, cabin suites, and glamping tents for Saturday night of the event. Laundry services are available to guests after 6pm and the hot tub is open until 10pm every night. The Main Lodge boasts 6 bedrooms, large communal spaces, including the main dining hall and game parlor, equipped with a big screen television, a pool table, dartboard, card table/chess set, bar area and hot tub. The Aspen Suite is beautifully appointed with a king size bed, large bathroom including a Jacuzzi tub, and shower, a private deck, television, and a great view of the south pasture. The Aspen Suite is perfect for families, comfortably sleeping 4 guests with an adjoining room with bunk beds. The Solitude room, upstairs in the Main Lodge, is furnished with three queen sized beds with a private bathroom. Sleeping 6, the Solitude room is great for groups, families, and couples. A real guest favorite, this room sleeps two in a queen bed and can also accommodate two more on a full-sized log futon. Whitetail has a full bathroom, large walk-in closet and a beautiful view of the Ranch and Spencer Lake. Whitetail is the perfect room for couples looking for a incredible ranch vacation. Tamarack sleeps two with a queen bed, and shares a bathroom with Appaloosa. 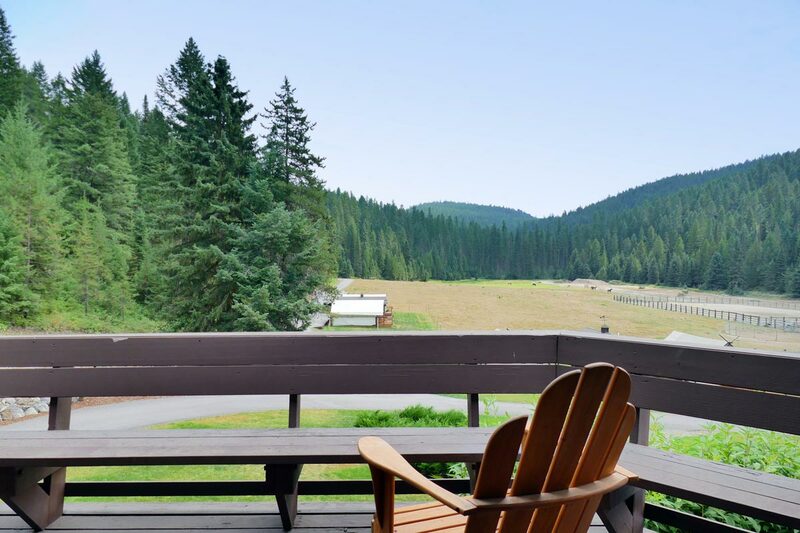 With a private exterior entrance on the main deck overlooking the south pasture, Tamarack is the perfect room to enjoy the beauty of Montana right from your porch. Located on the main floor of the Lodge, Tamarack has a half bath directly across the hall with access to a full bathroom one floor down. Appaloosa is our most affordable bedroom furnished with a handcrafted queen size bed and log furniture. Appaloosa shares a full bathroom with Tamarack that is located directly across the hall. Appaloosa is located a short distance from the game parlor on the first floor of the Main Lodge. Sunroom is located on the first floor of the Lodge with a private exterior entrance and a relaxing patio overlooking the heart of the Ranch. The Sunroom has a queen bed, full bathroom, an adjoining bedroom with a set of bunk beds, another queen bed and a pull out sofa. 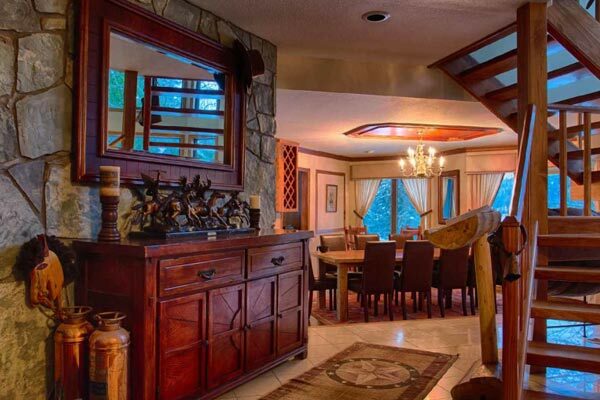 Located close to the game parlor, the Sunroom is great for family or group dude ranch vacations sleeping up to 8 guests.